Do you like to take care of your skin? While many have started to realize the importance of skin care at an early age, many are still not aware of the mistreatment they have done to their skin. Some wait until too late to begin a skin care regimen. The good news is that you can take care of your skin in the comfort of your own home. While it is good to consult a dermatologist to find out what your skin condition is, you don’t need to go to the spa and shell out a lot of money just to achieve youthful skin. If you don’t have the time, you can purchase your very own microdermabrasion machine instead. This process entails using a crystal to exfoliate your skin to remove all the dead skin cells brought on by years of mistreatment. Regular use of this technique will leave your skin renewed and refreshed. It is much safer than other methods available today and is used to reduce wrinkles, acne, blackheads and much more. 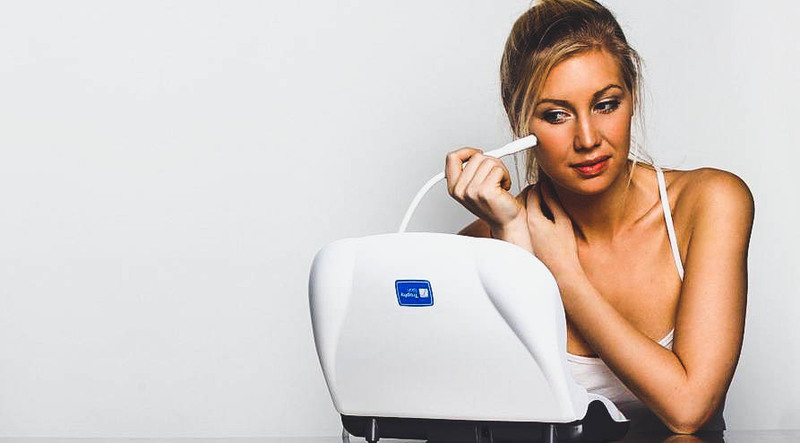 If you are looking for a microdermabrasion machine to buy, here are three products that you need to check out. 1. Silk’n ReVit Diamond Microdermabrasion Device – this product is different as it does not use the sandblasting technique. Instead, it uses Dermabrasion Tip Exfoliation. The diamond tip will scrub away the dead skin cells and leave your skin feeling rejuvenated. If using for the first time, expect that your skin will have some irritation as a side effect so it’s best to use some type of soothing cream to minimize it. 2. At Home Microdermabrasion Machine NV60 – This is a budget-friendly device but you can be assured that it will do its job. What makes this product unique is that unlike others which advertise itself as only used for the face, this device can actually be used for the whole body! The tips can be used to treat conditions such as stretch marks or spider veins. This is a great device as it is like getting two products in one. It is important that you know exactly how to use this device, though. Make sure to read the instructions and manual well, and if still confused, consult professionals and do your own research in order to make sure that you can maximize the product. 3. RejuvadermMD by Trophy Skin – Trophy Skin’s personal microdermabrasion is truly one of the best in the market. This handheld device may be a bit more expensive than others, but for the benefits it offers, consumers are getting quite a deal. For one device, they can get exfoliation, extraction, and infusion, resulting in a wider range of improvement for your skin condition. This device is really an intelligent investment if you want to take care of your skin for a long time. Trophy Skin offers a wide range of products designed to take care of your skin. You can get professional results at the comfort of your own home, so check out their products to see what best fits you.